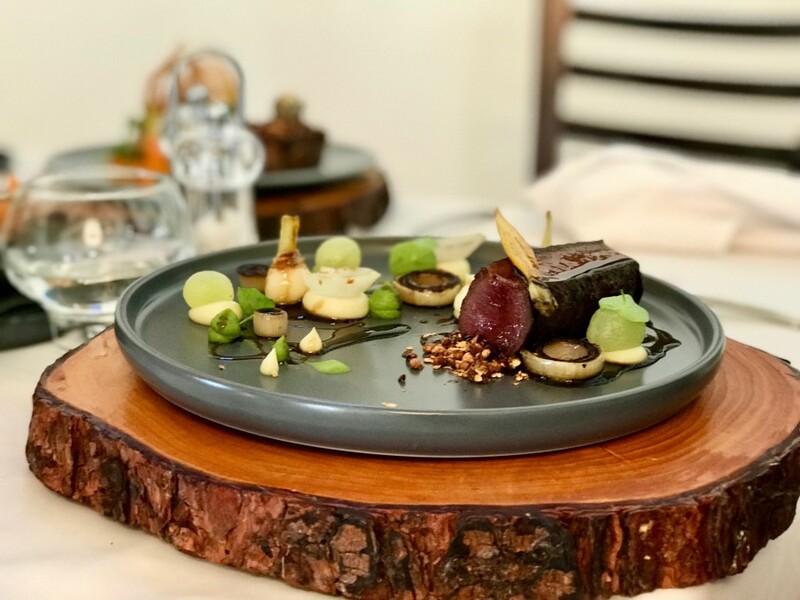 From concept to execution, Forage restaurant at Wildekrans Estate in Botriver delivers a fine-dining experience that is the fully-realised vision of chef patron Gregory Henderson and his team. Nothing is half-baked. Each dish I enjoyed had a clear raison d’être and it ate in a more delicious and interesting way than many a so-called-fine-dining meal. 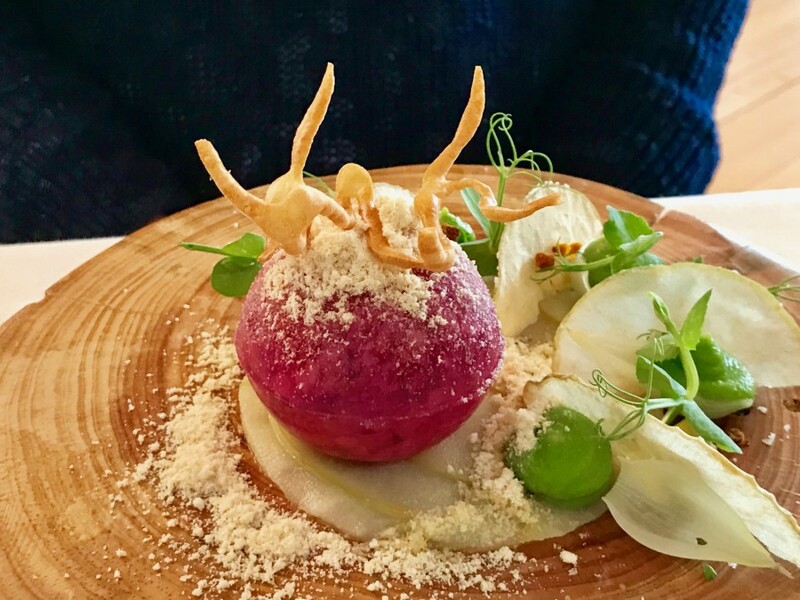 Neither cleverness for its own sake nor artifice, this menu – An Overberg Tapestry Part One – reflects the region’s diverse histories and its produce – mostly foraged for by Henderson and his team. The restaurant is part of Endless Vineyards Boutique Lodge on Wildekrans Estate, a working grape, olive, fruit and livestock farm. 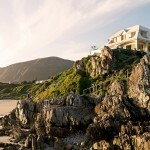 At just 15 minutes outside Grabouw in South Africa’s Western Cape, Wildekrans isn’t as remote as might at first be imagined. 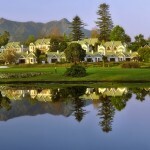 Other dining options on the estate include Uitspan restaurant in the wine and olive oil tasting room. The focus there is on baked goods – artisan breads are a passion of Henderson’s – and on local produce with a leaning towards smoking and cooking on open flames. 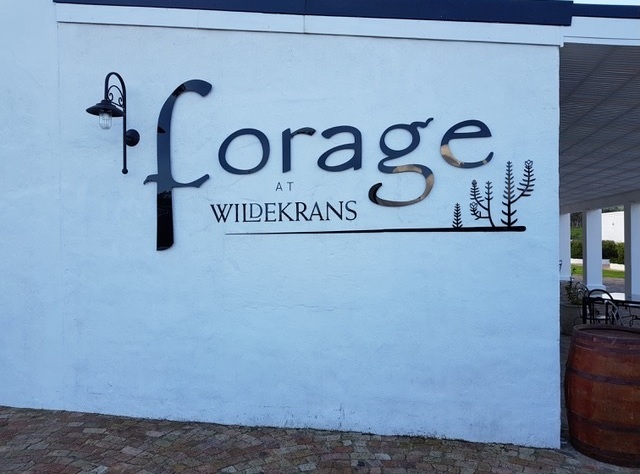 The rustic nature of Uitspan’s cuisine only amplifies the refinement at Forage. My starter, ox liver described as Die Cloevermaker references the Sir Lowry’s Pass toll taker, which began the bartering of food in 1740. 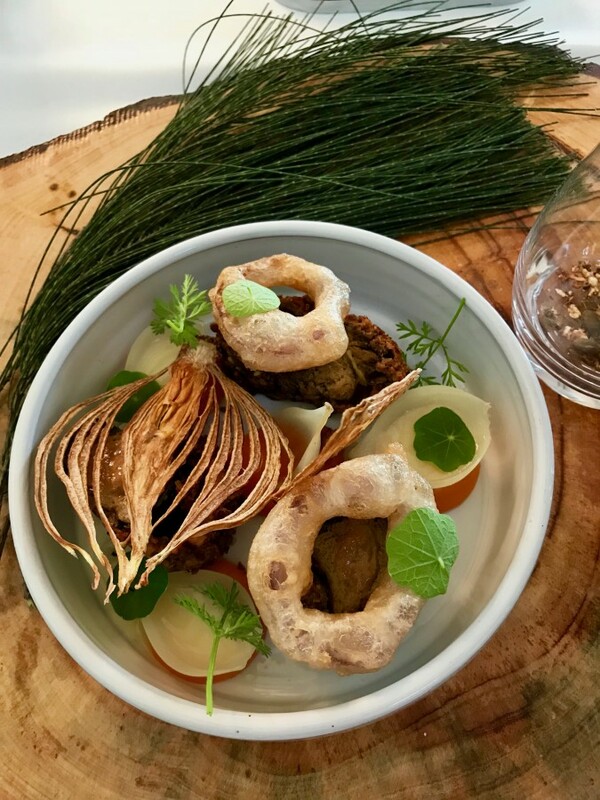 The foraged elements include the honeybush tea and a traditional pickled onion favoured by the Boers – Slaphaksteentjies. Henderson himself suffers from Celiac disease – a severe gluten intolerance – so understands first hand when people have dietary restrictions. I let him know in advance that I was Banting and he adjusted dishes to low-carb and sugar-free ingredients for my benefit making the crispy coating for the liver and the “tempura” style onion ring from low-carb options. 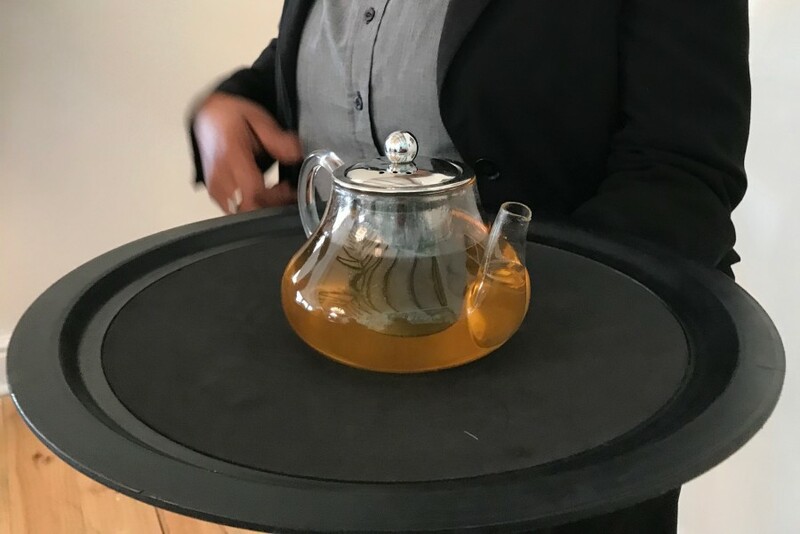 The honeybush beef tea reminded me of the Victorian tradition of serving a concentrated beef broth ahead of a wintery theatre performance to warm the guests. Here, served in a jug on the side, it boosted flavour and added moisture to the dish. Slow-cooked beef short rib came next. Described as Gouga, Botriver 1700, elements included the chicory-butter cooked beef – off the bone but reassembled into a wedge of deliciousness. The dish references the Khoi herders who raised cattle along the Gouga, Botriver known for its fatty and buttery texture. On the plate, this translates into whipped beef tallow and butter-cooked short rib. On the menu, this dish has corn in it which, in my case, was replaced with a nut crumble to bring crunchy texture to the soft-eating beef. Although there is a great focus on presentation, there is nothing on the plate that doesn’t also add to the eating experience. One of the few positive impacts of molecular cuisine is the technology to create “caviar”- style balls. 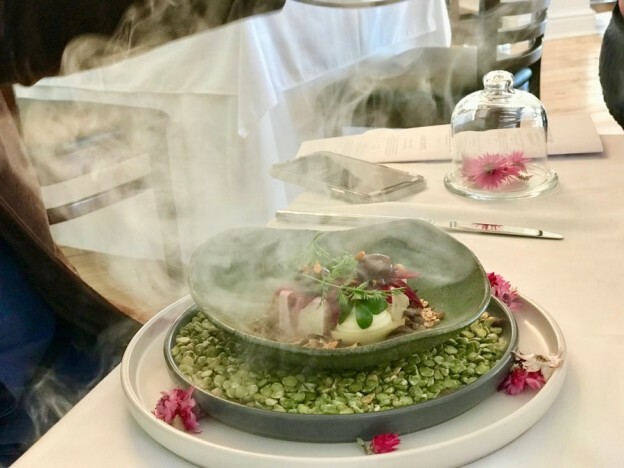 In one of the vegetarian dishes on offer – a love letter to olives – he forms olive tapenade into what appears to be an olive – until placed in the mouth when the warmth shatters the near invisible membrane to turn a solid into a liquid. My dessert, a sugar-free strawberry Pana Cotta references summer strawberries in the nearby Napier area. With a meal that begins with a smudging with a stick of smoking African sage – Impepho – widely used in the African tradition to clear negative energy – and ends with the offer of liqueur distilled on the farm from marula – a visit to Forage is a cultural experience as much as a culinary one. 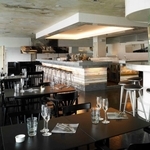 And, at R375 for three courses, it represents extraordinary value for money. If Forage were in Constantia or Franschhoek, for example, you’d happily pay twice the price for the same meal.